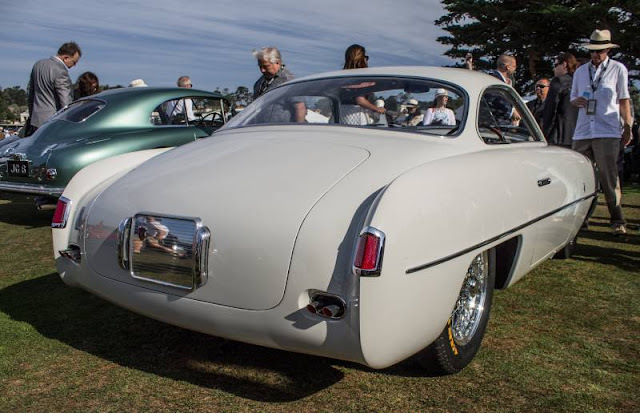 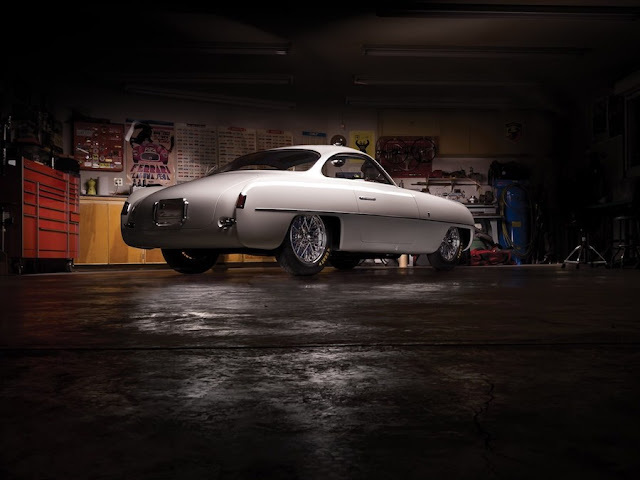 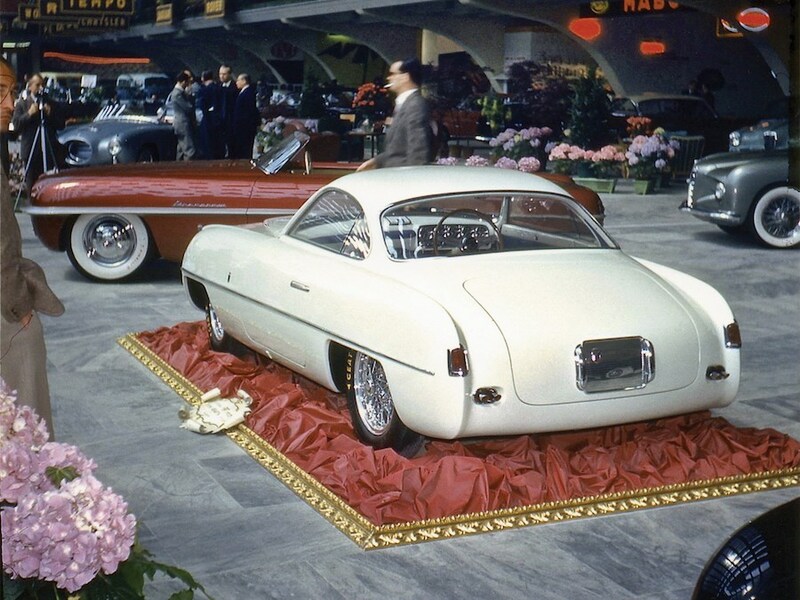 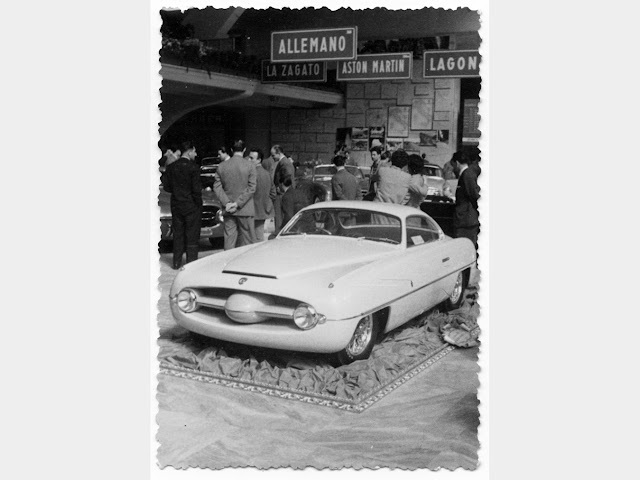 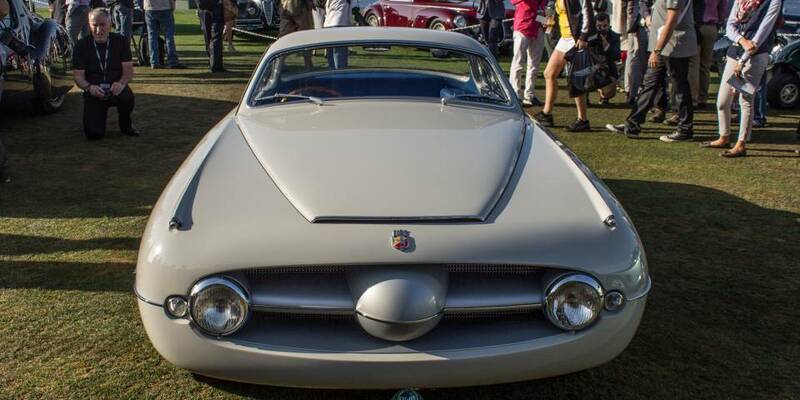 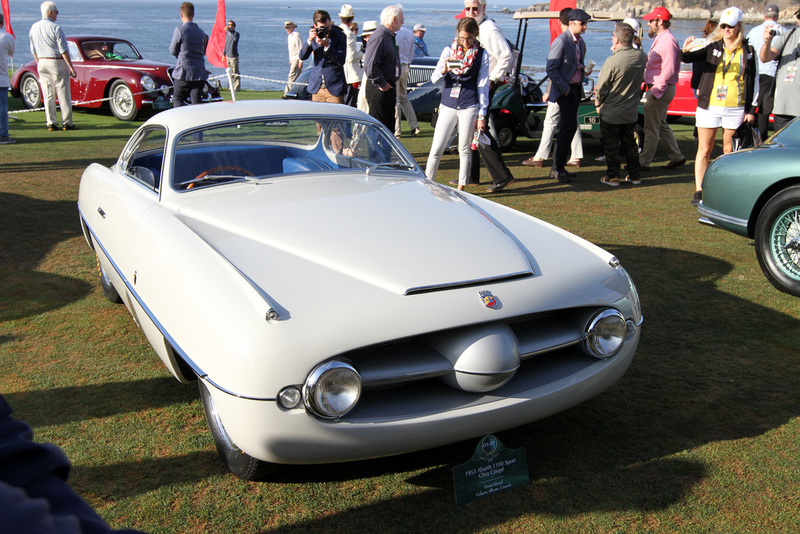 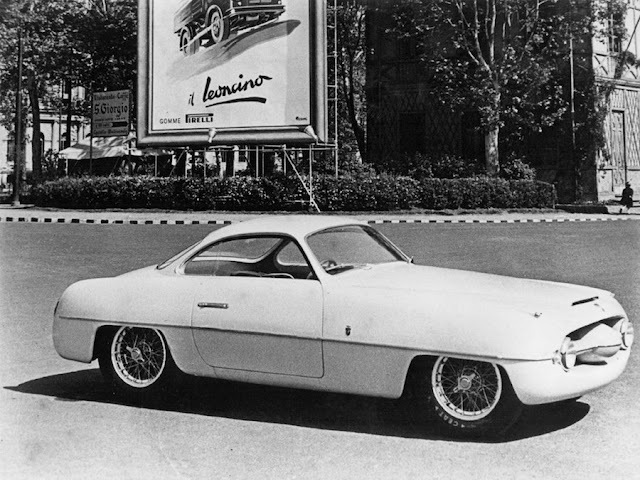 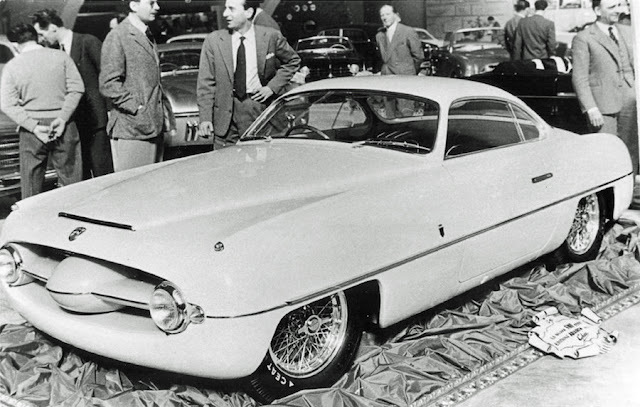 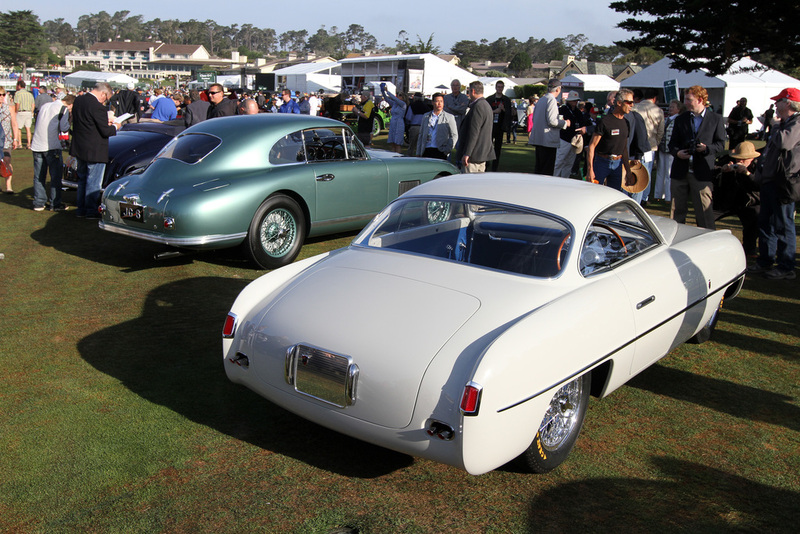 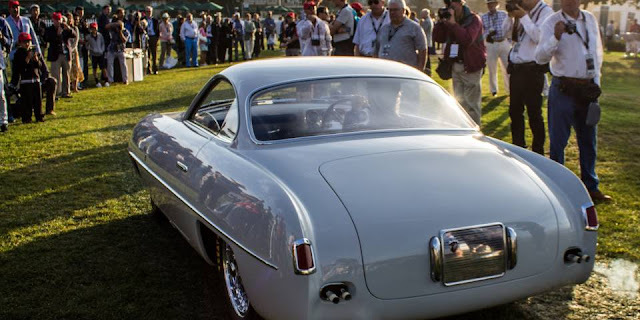 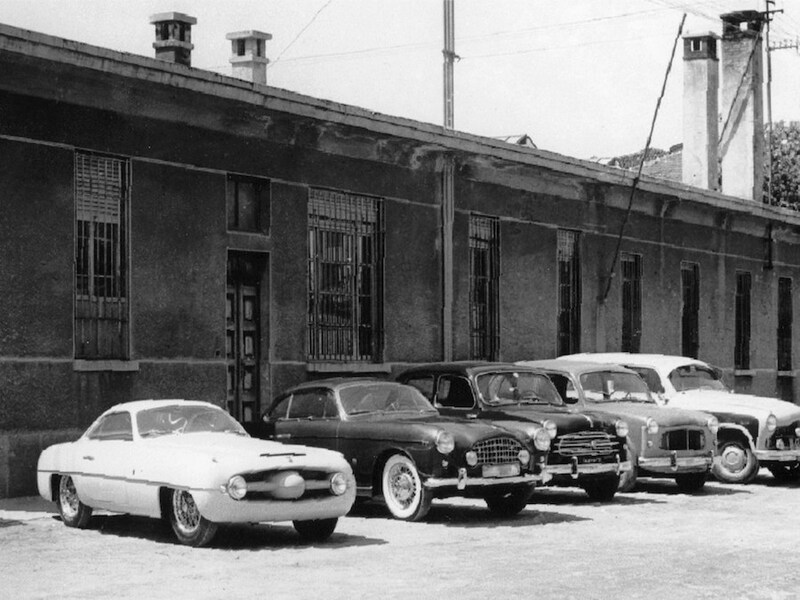 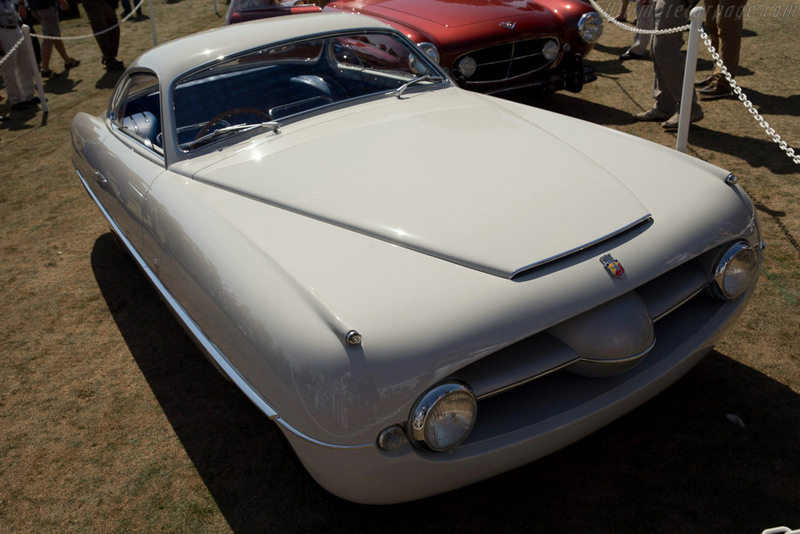 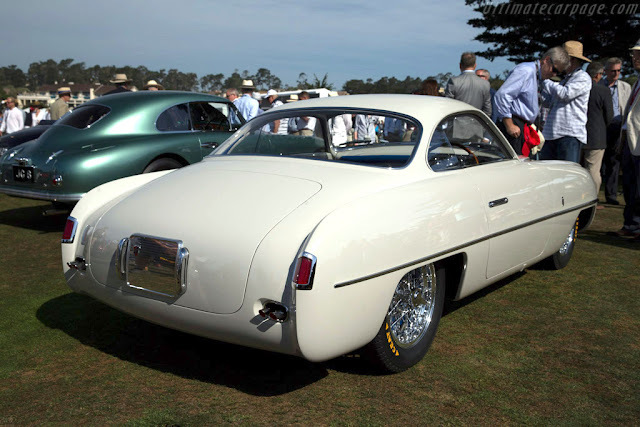 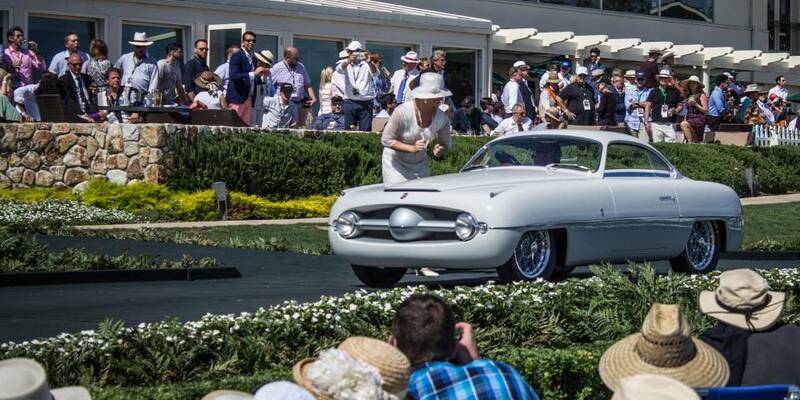 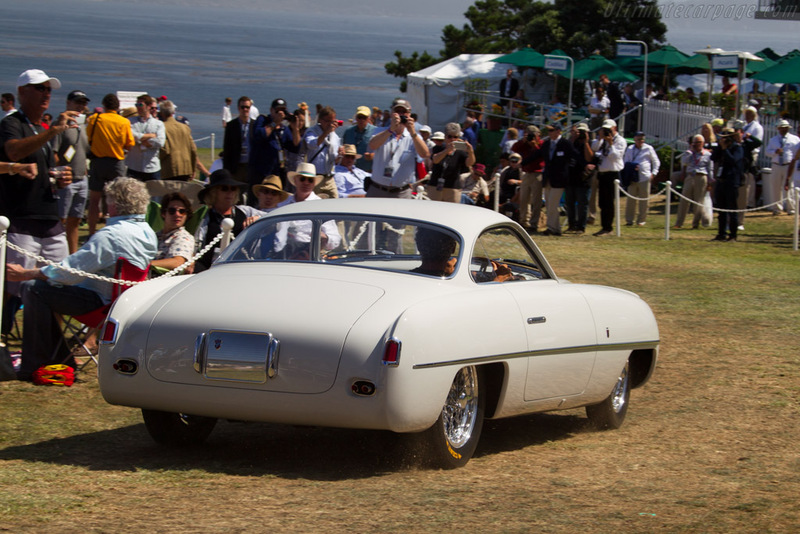 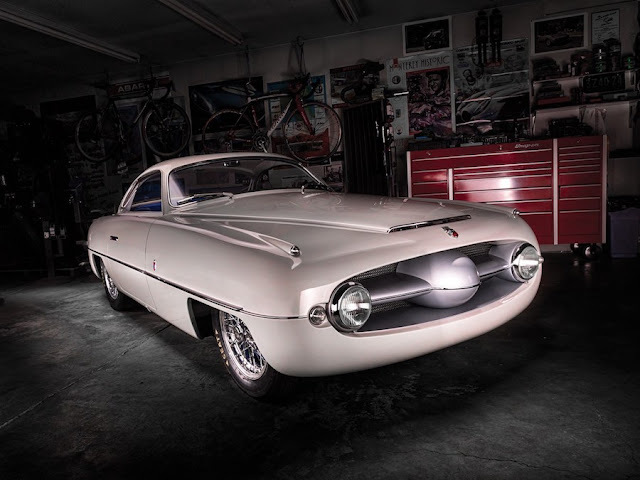 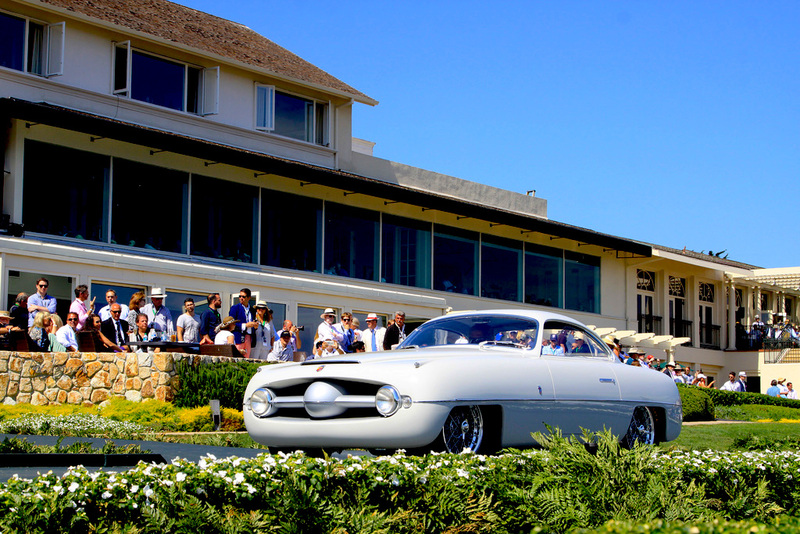 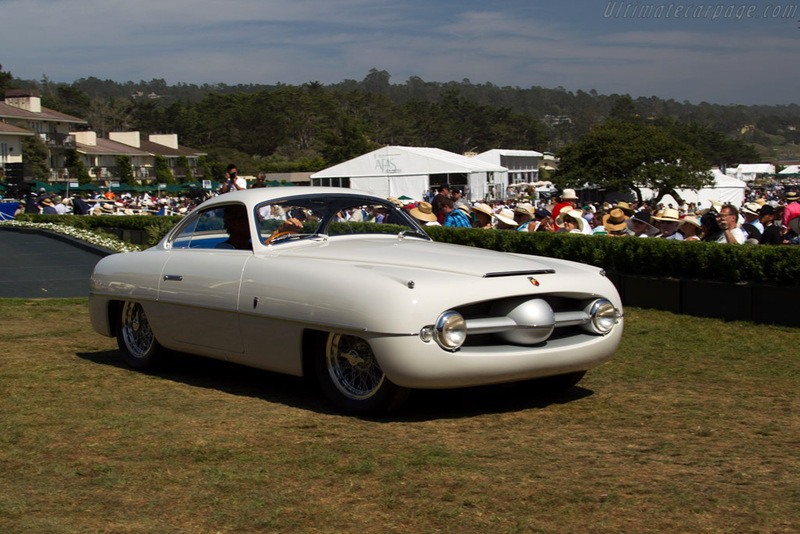 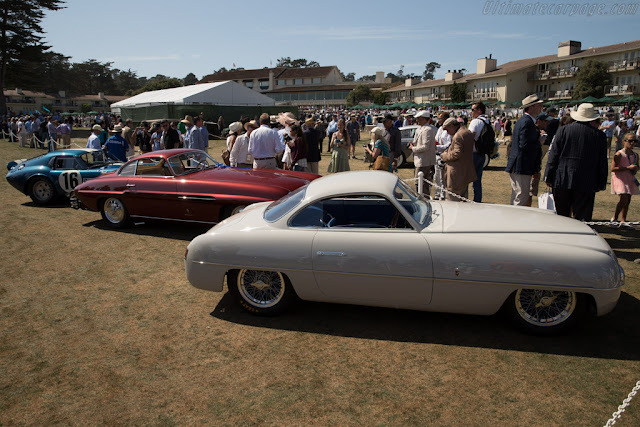 First shown at the 1953 Turin Motor Show, this one-off is built on an Abarth 205-style chassis, the only example bodied by Ghia. 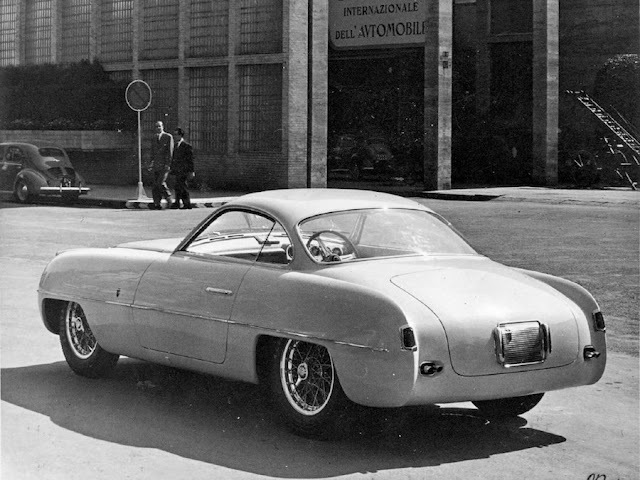 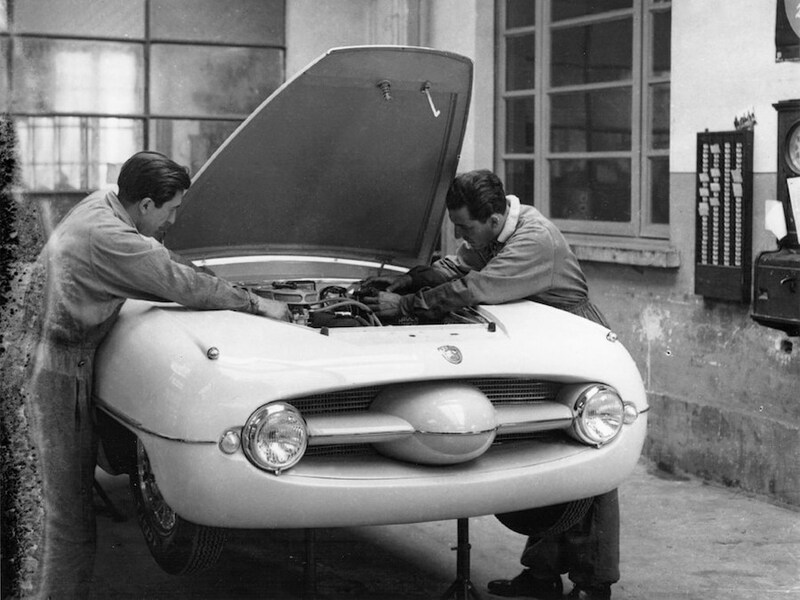 Equipped with mechanicals sourced from the newly announced Fiat 1100. 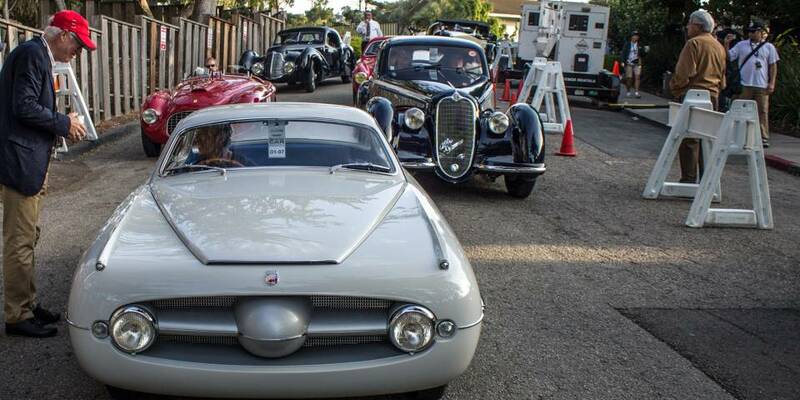 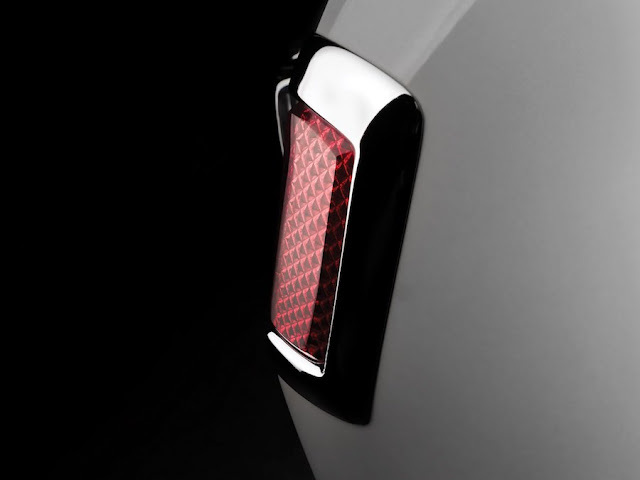 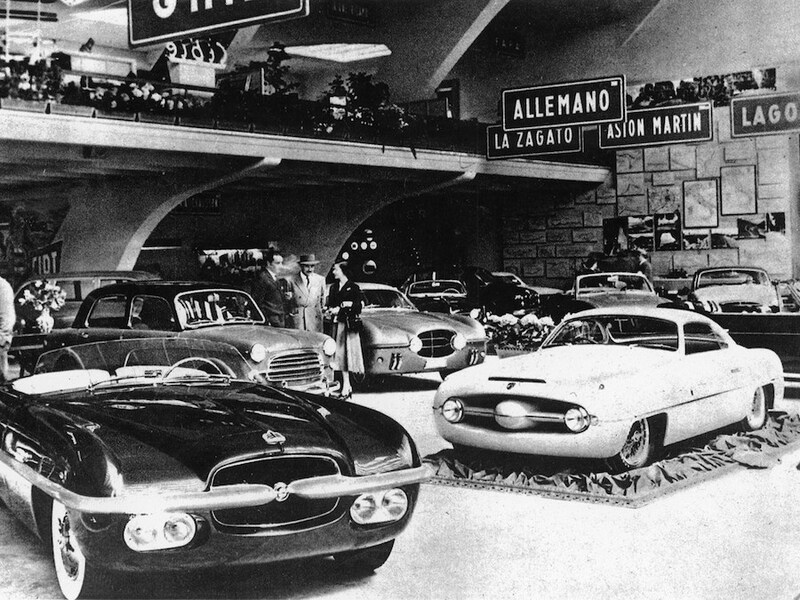 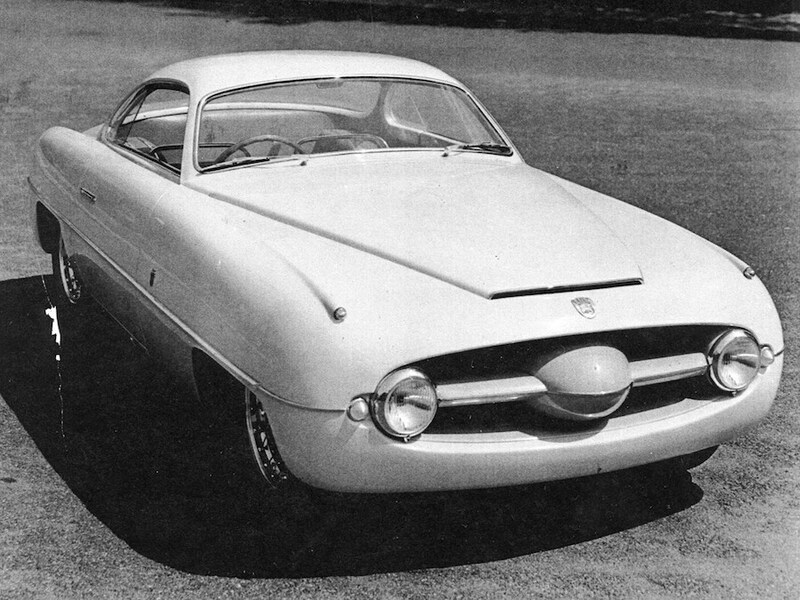 Mainly to promote the latest Fiat, which was previewed at Turin, the car was referred to as the 1100 Sport. 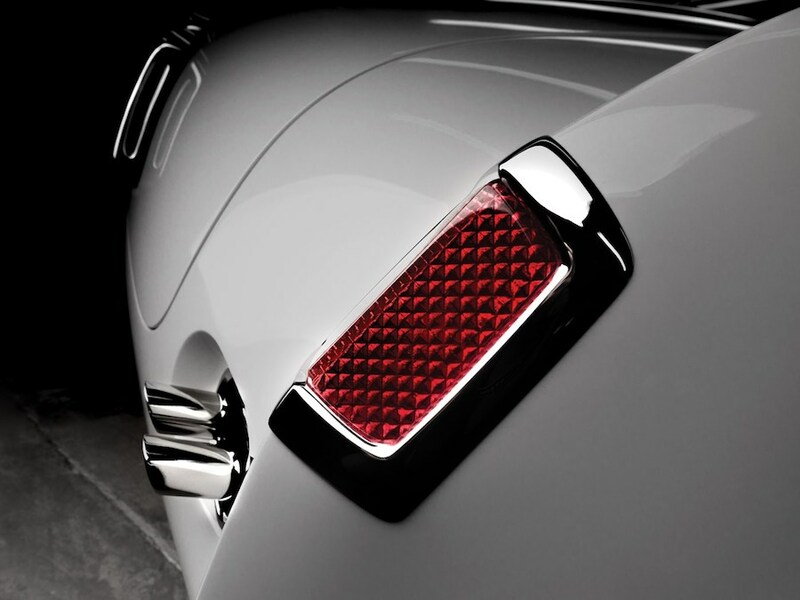 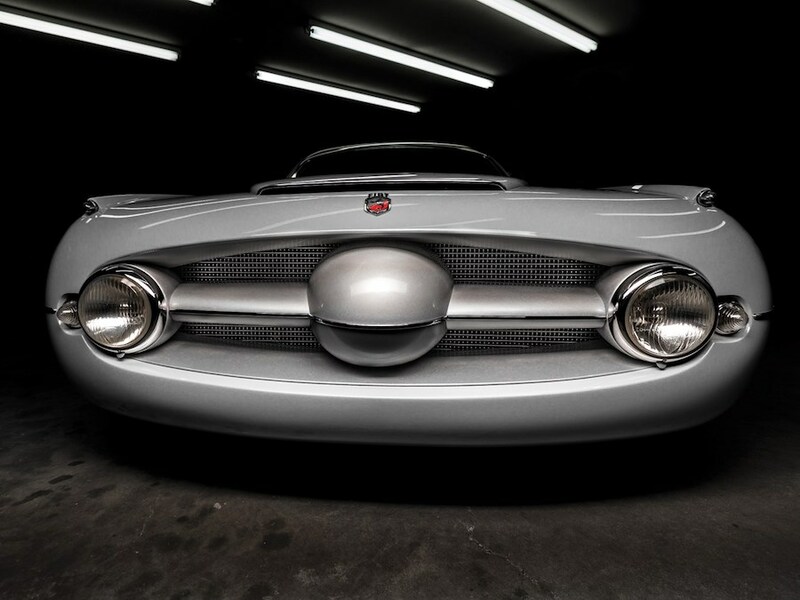 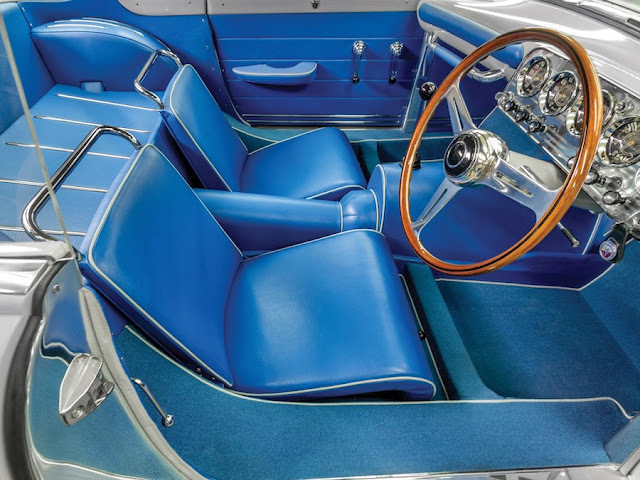 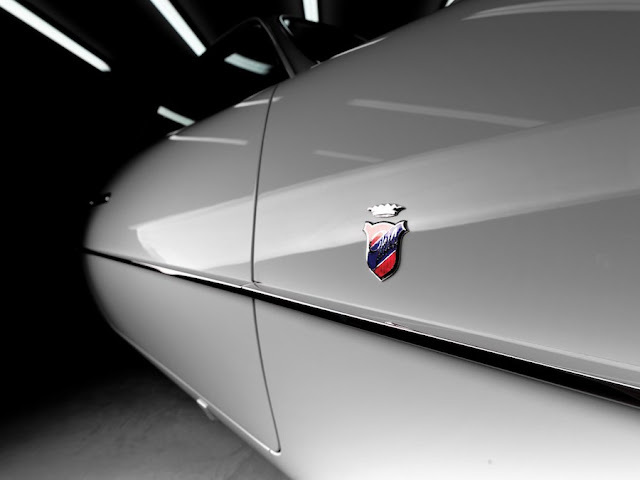 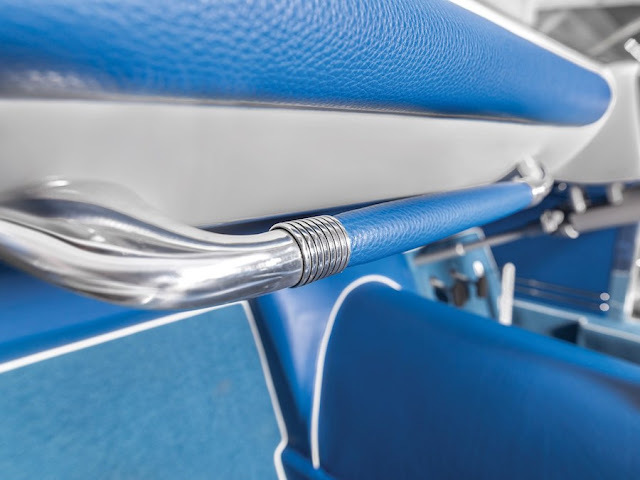 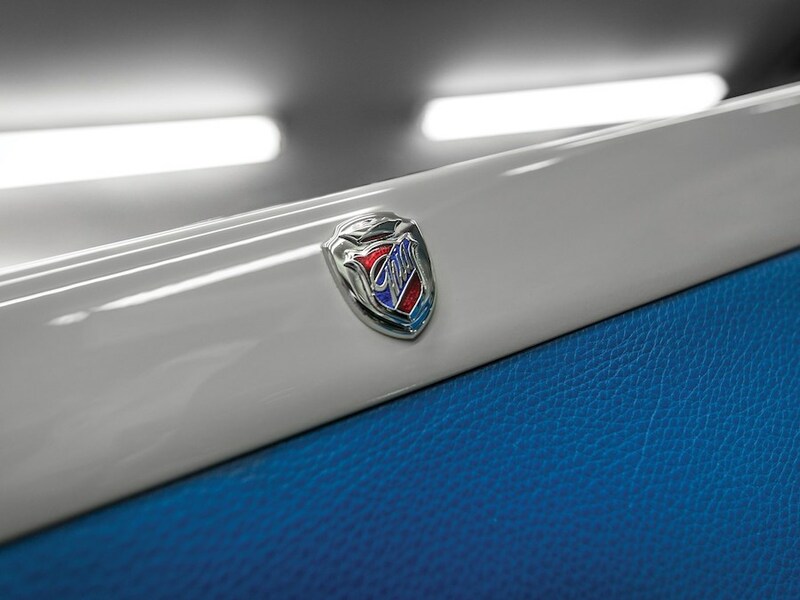 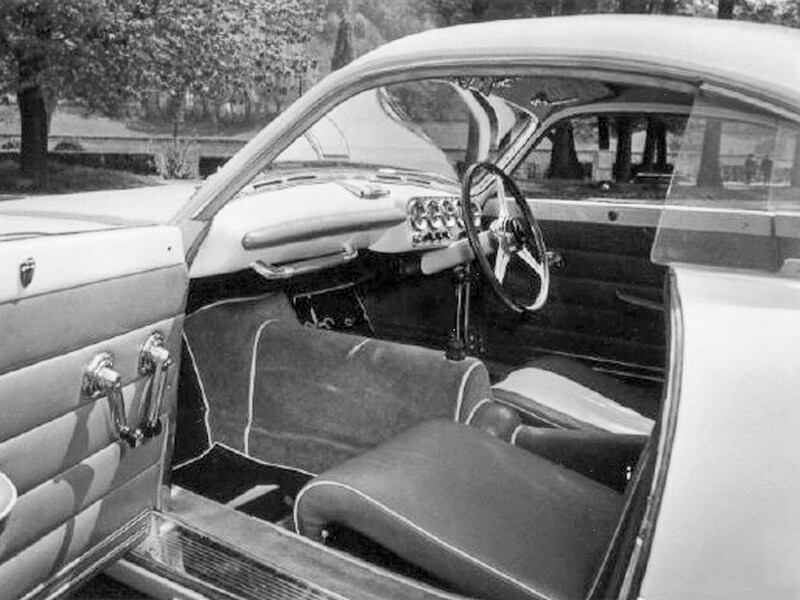 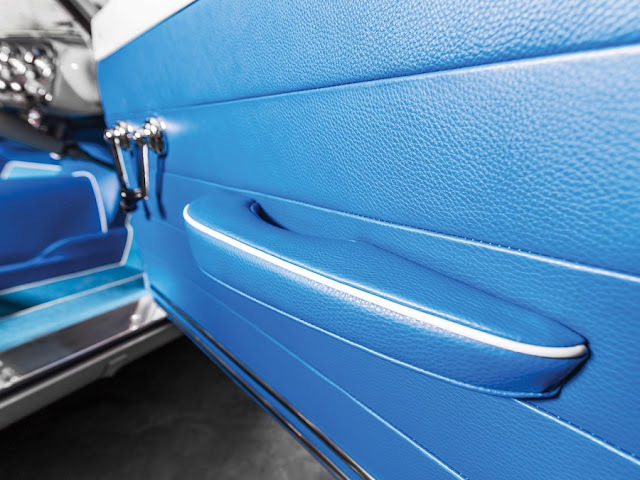 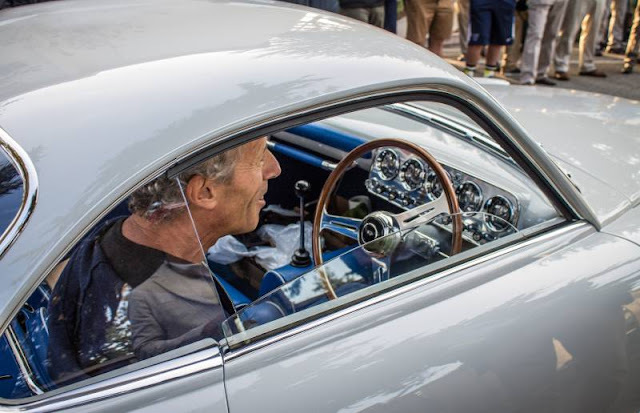 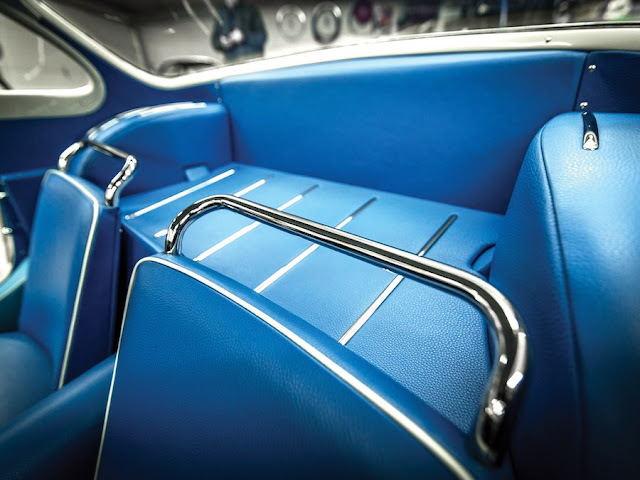 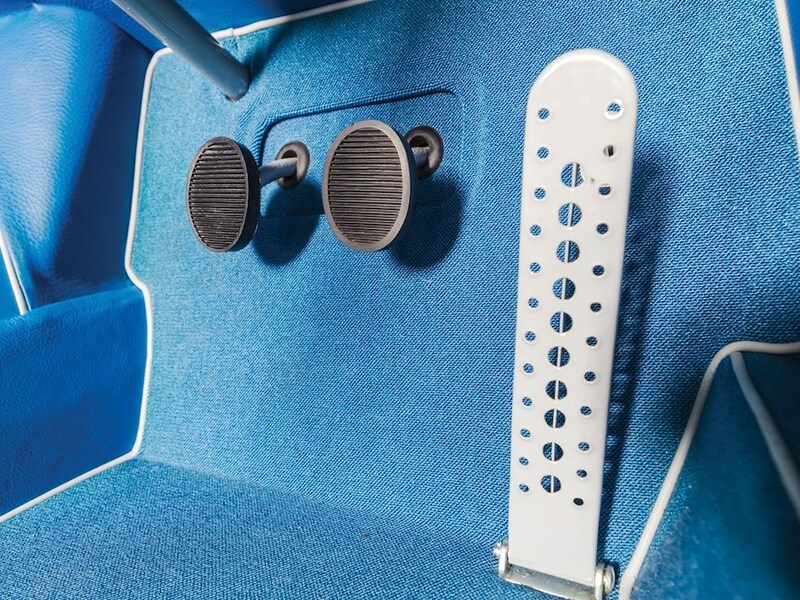 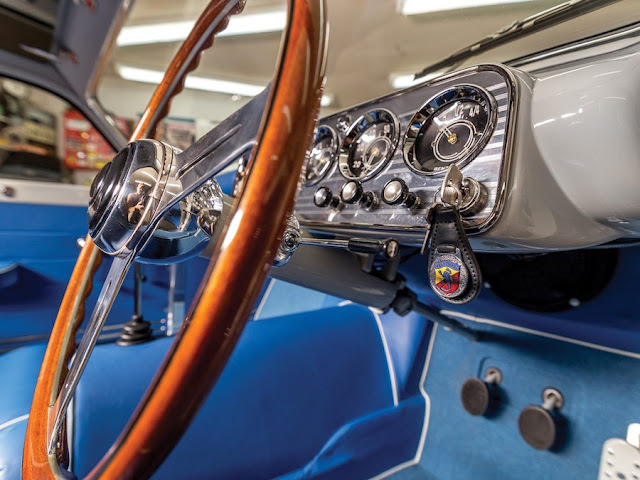 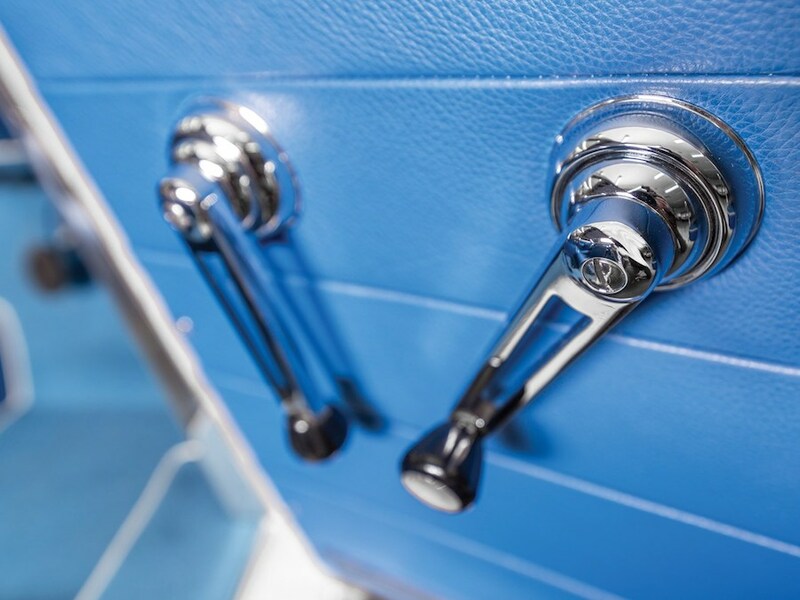 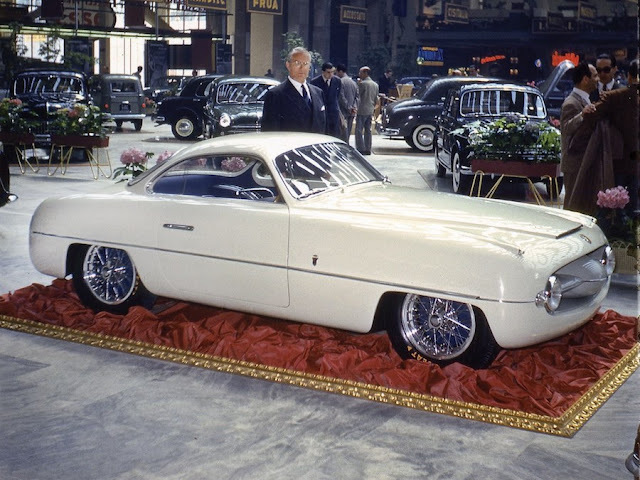 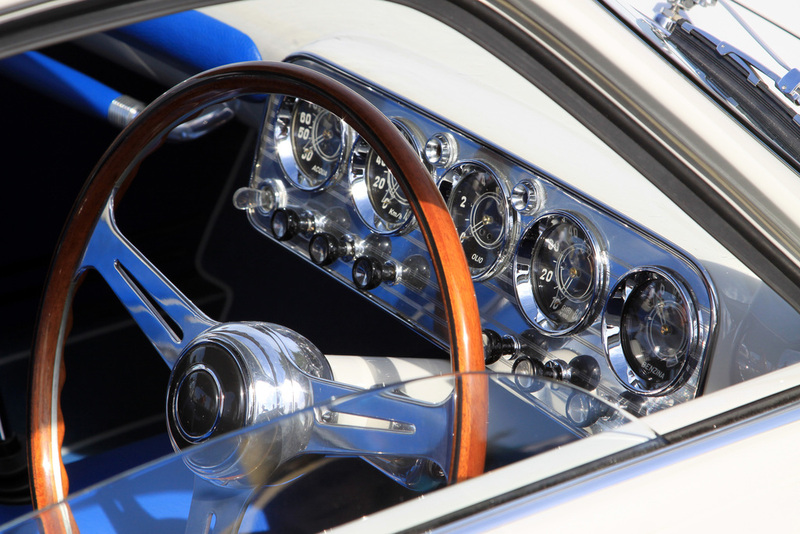 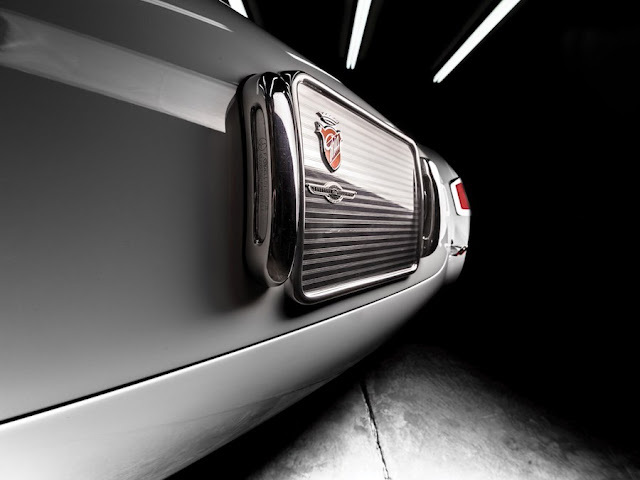 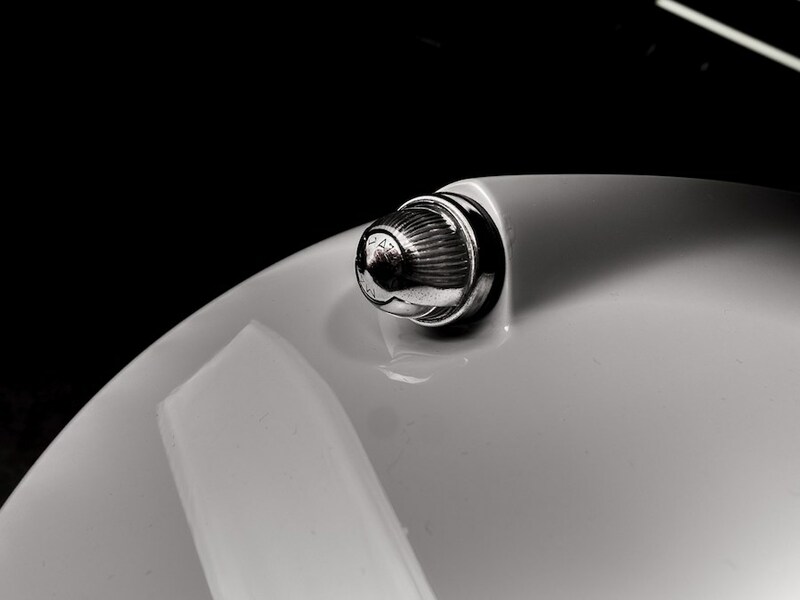 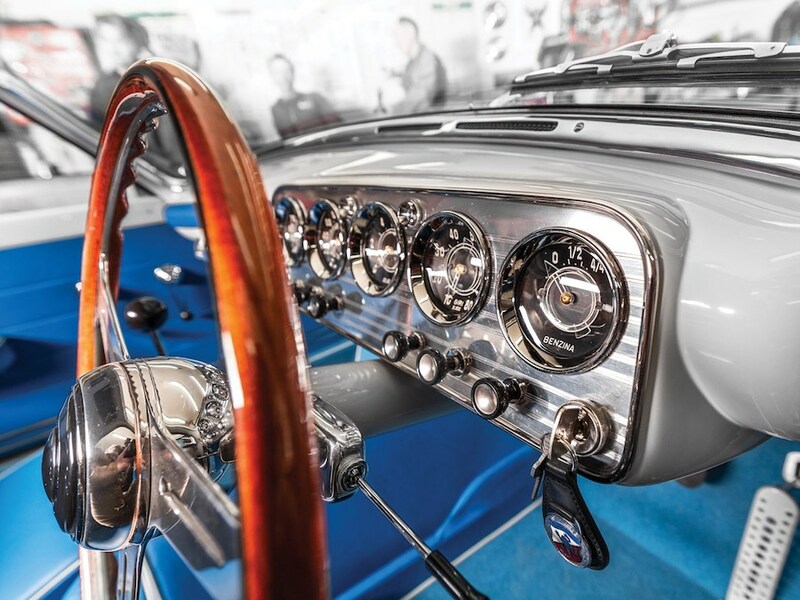 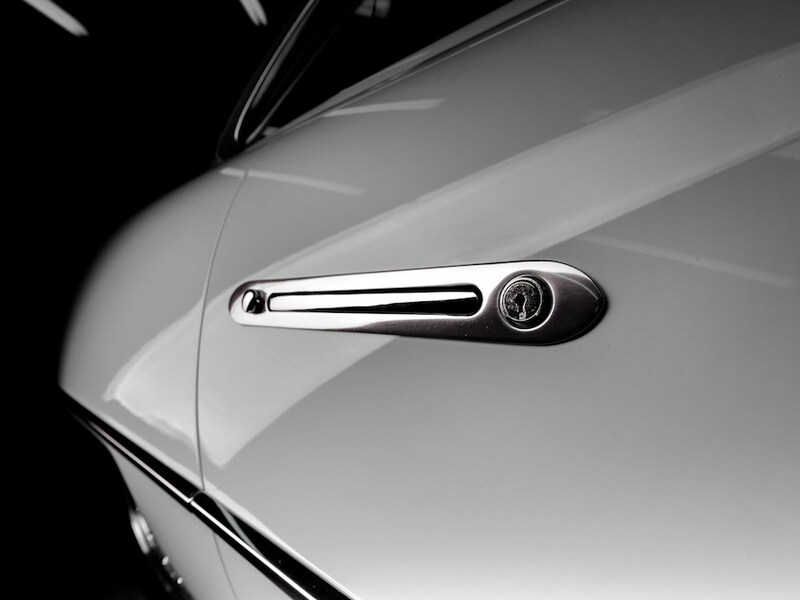 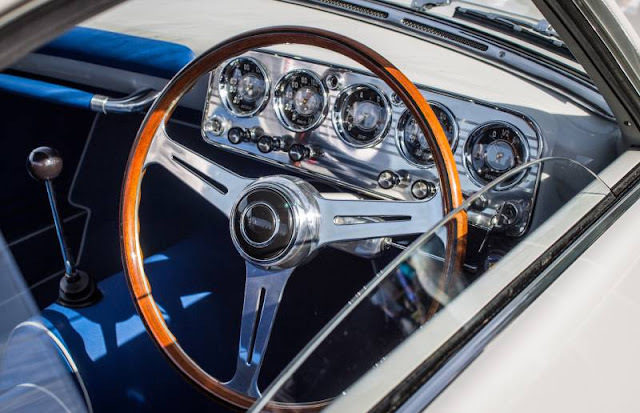 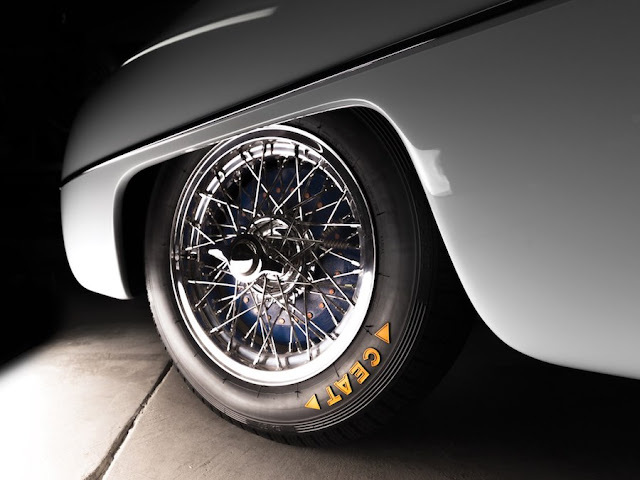 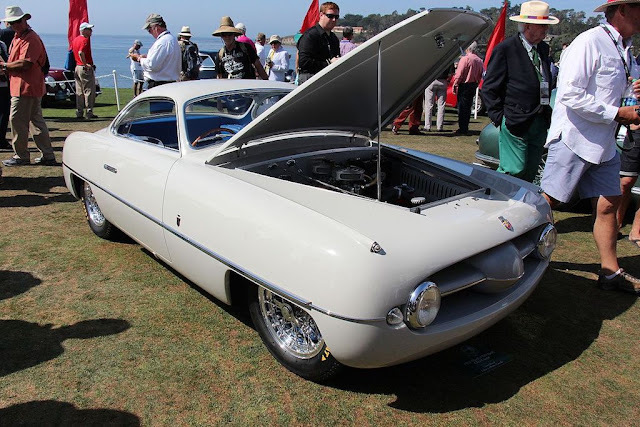 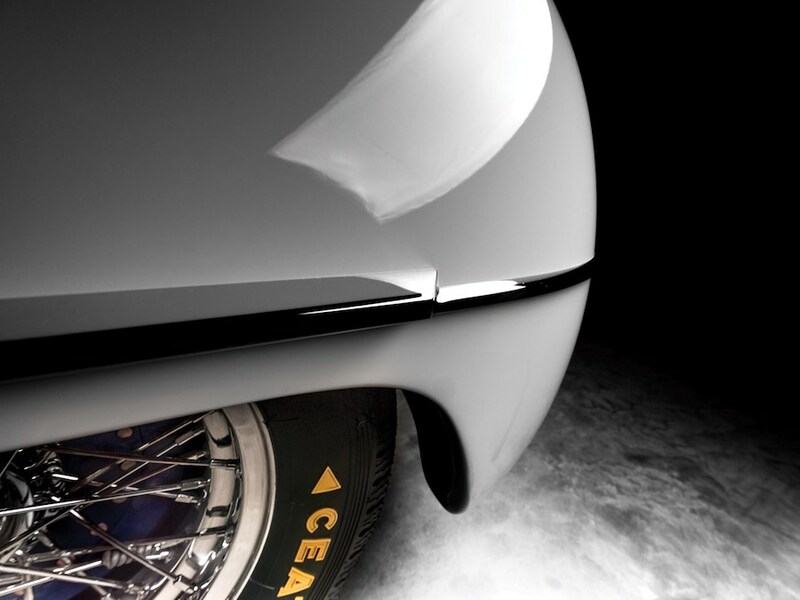 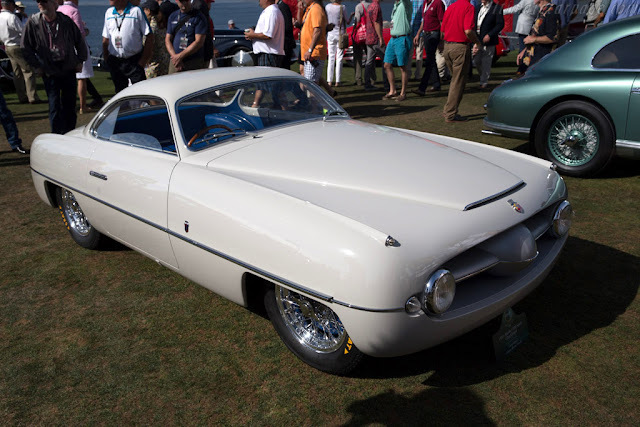 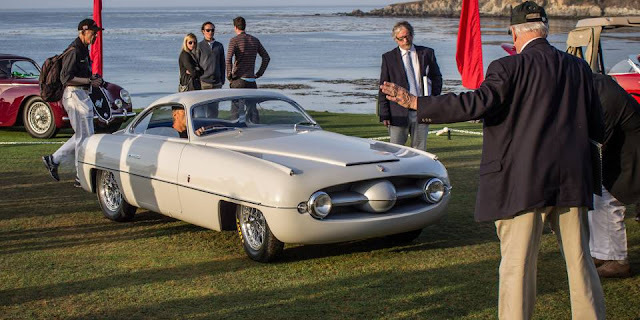 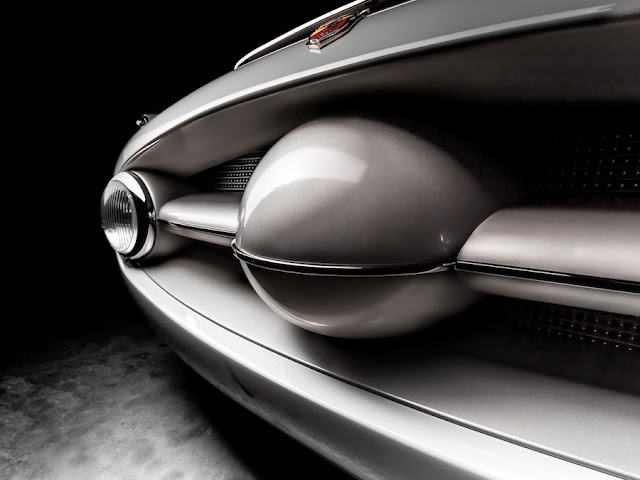 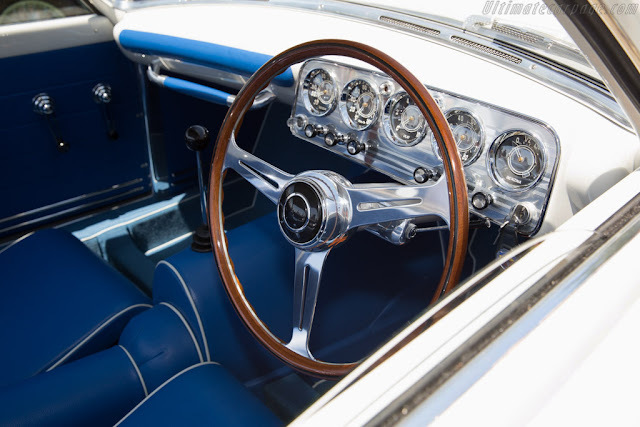 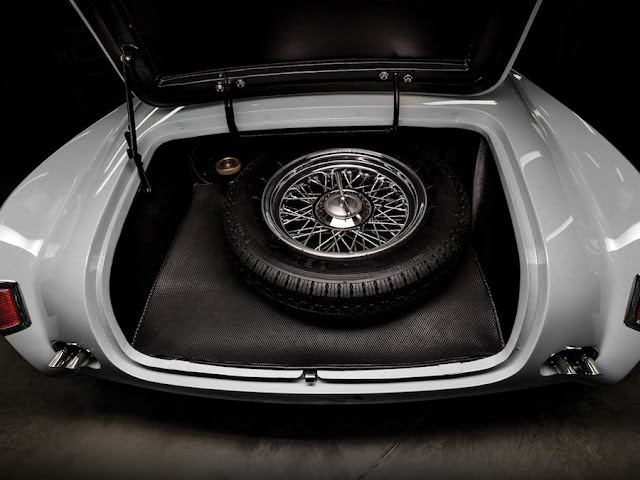 It was fitted with a striking bodied that was crafted by Ghia and most likely styled by Giovanni Michelotti, perhaps drawing inspiration from the designs of Virgil Exner and Giovanni Savonuzzi. 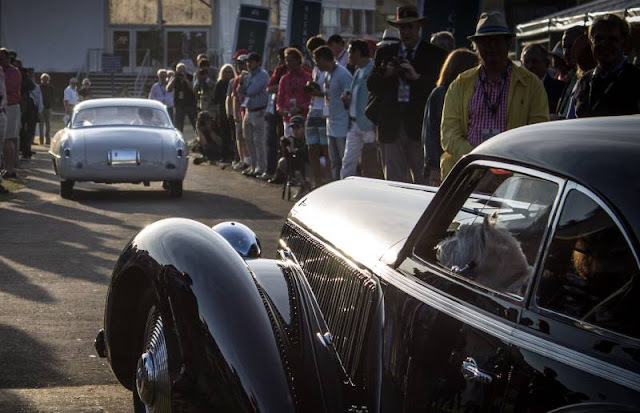 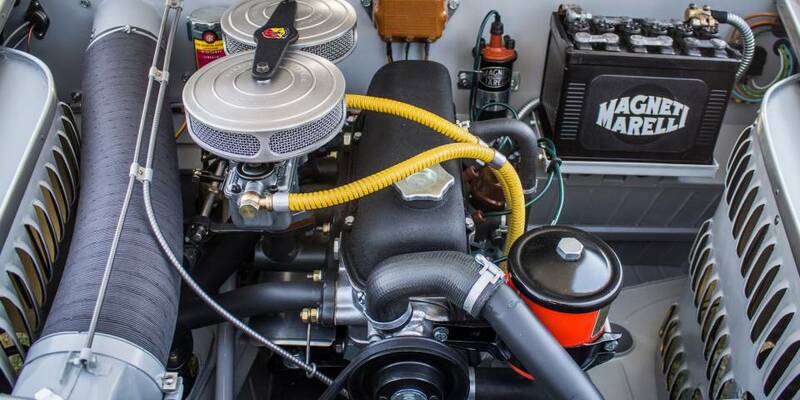 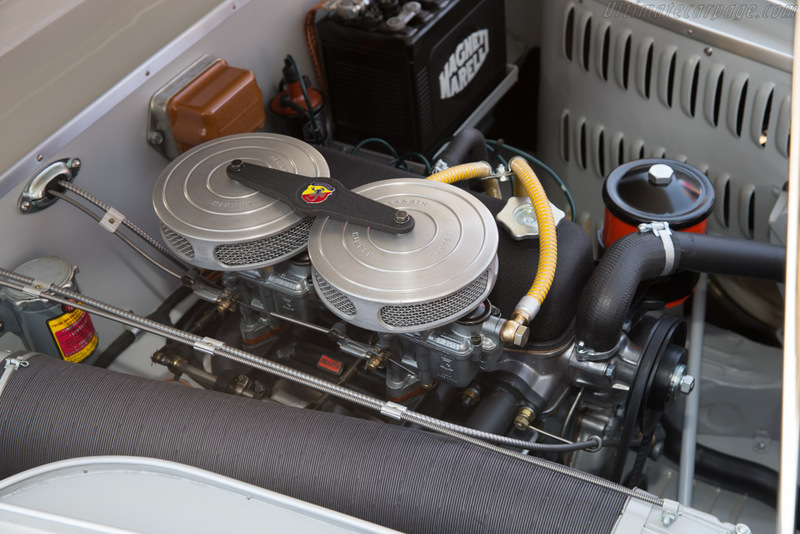 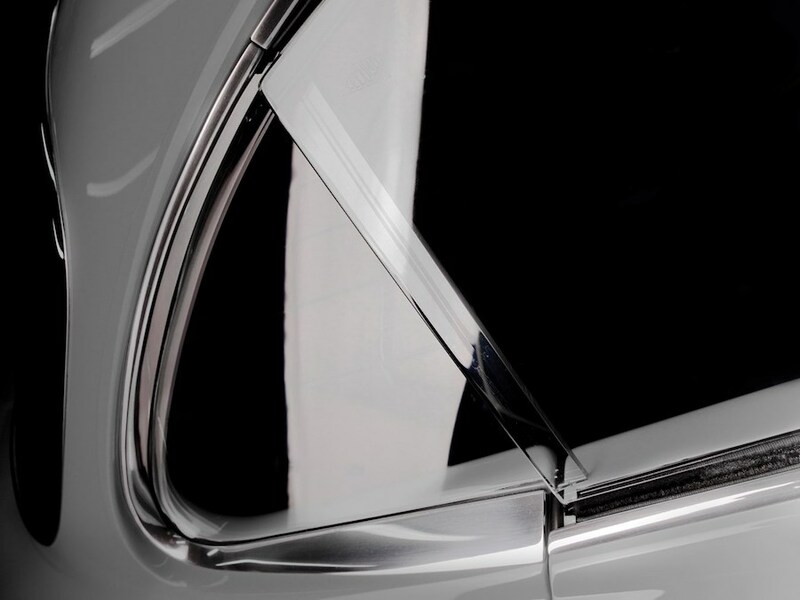 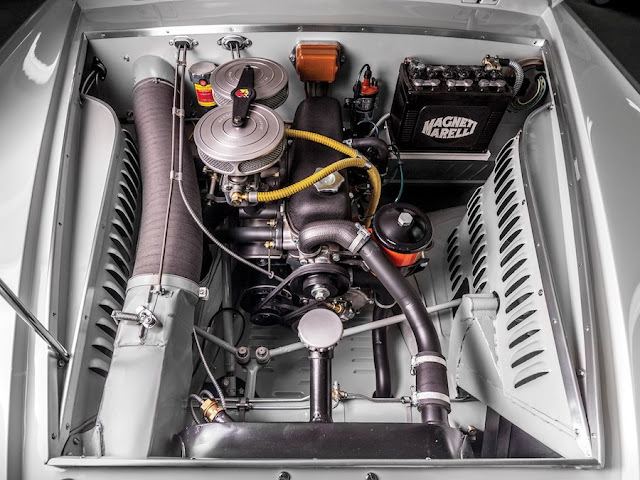 Certainly the most impressive feature was the broad radiator intake, which housed a cross-bar with a bullet-shaped centre section as well as the headlights. 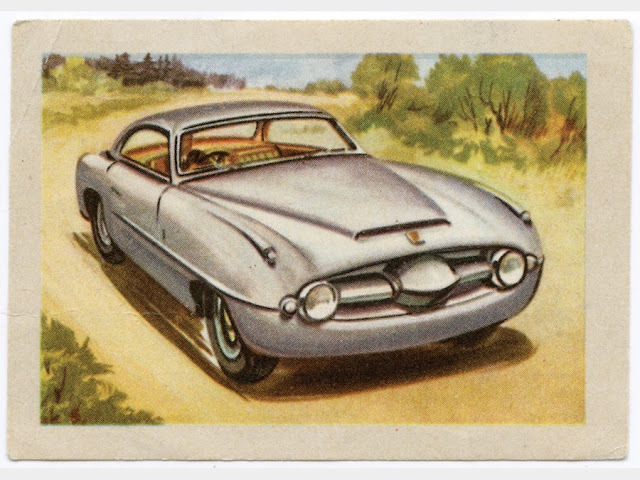 A similarly styled Simca was also created but this featured a different grille treatment. 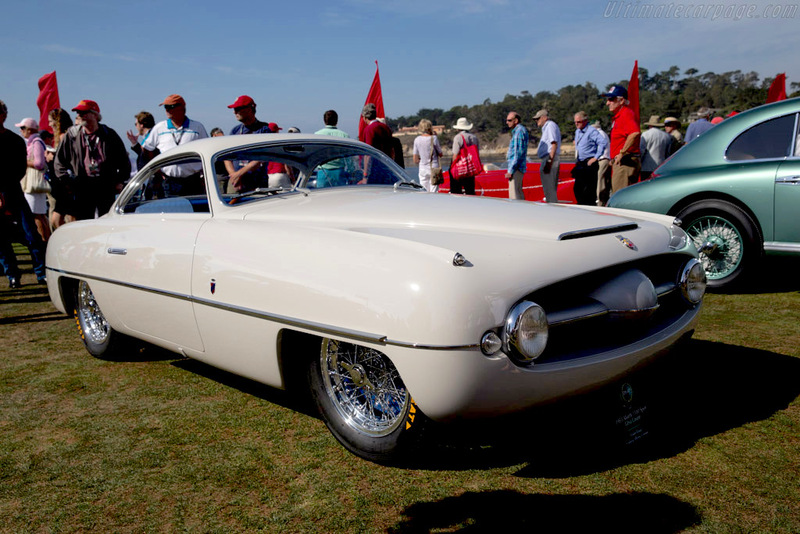 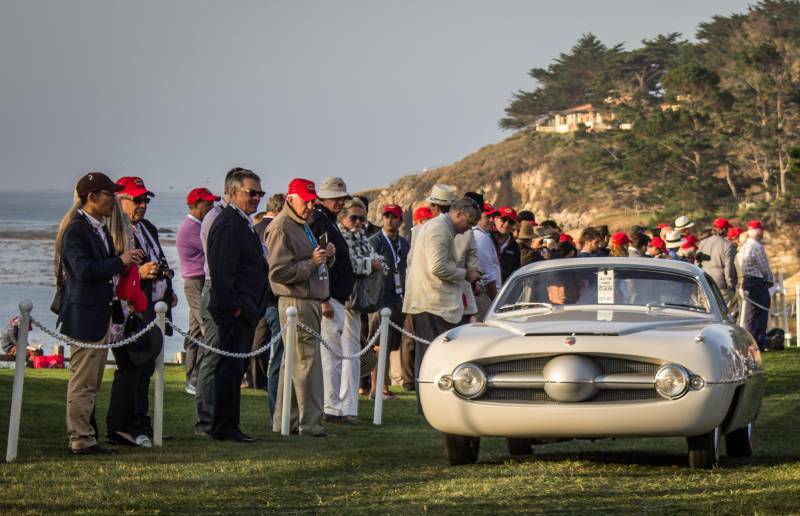 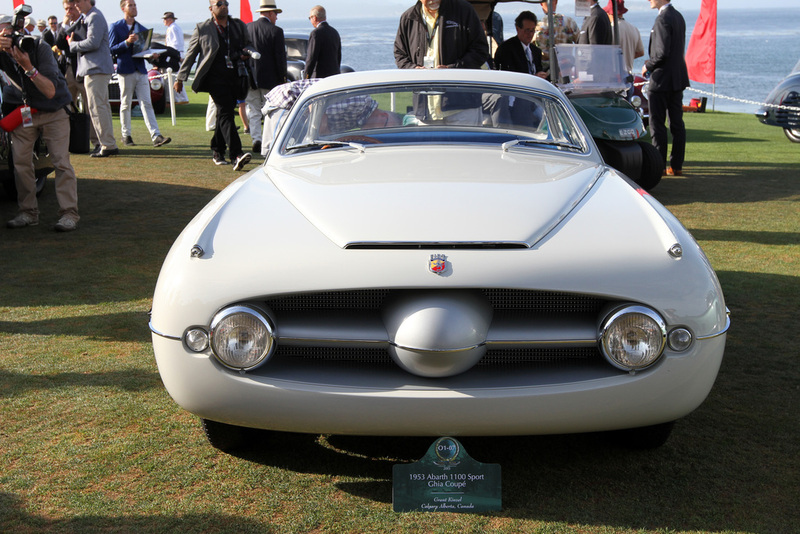 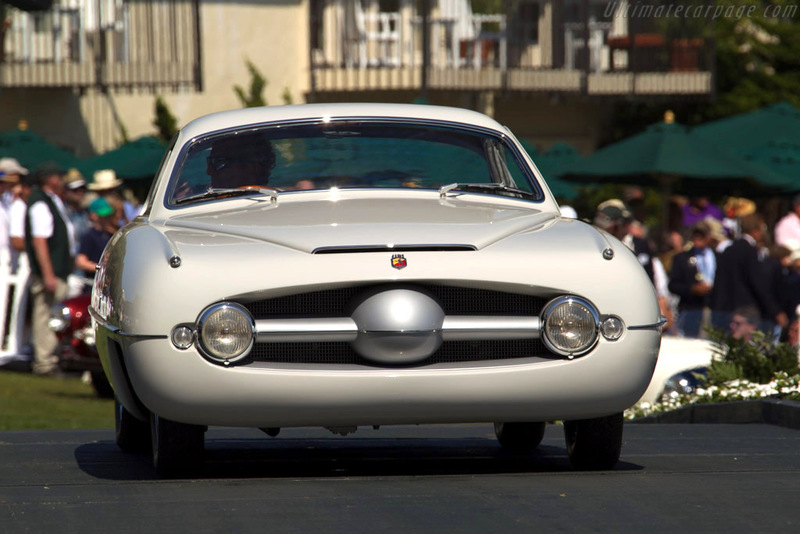 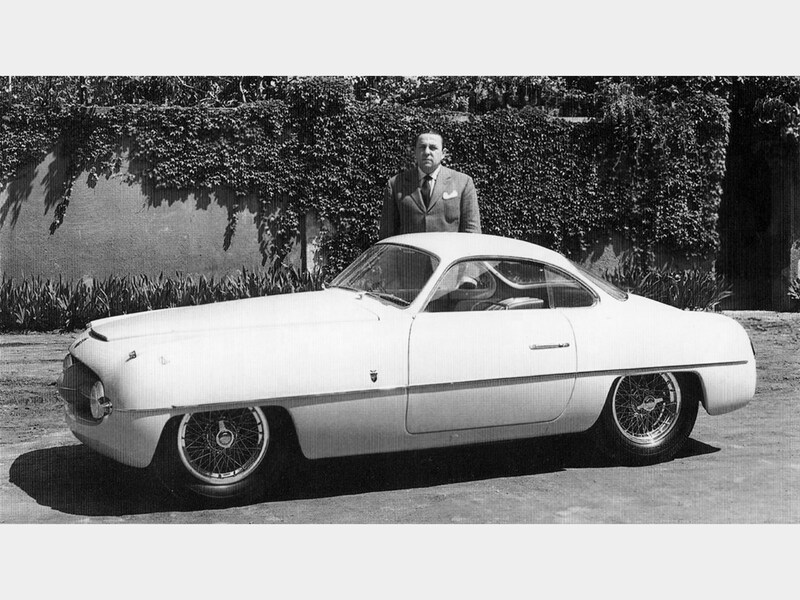 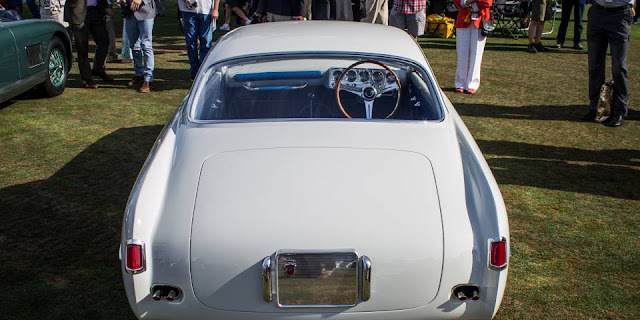 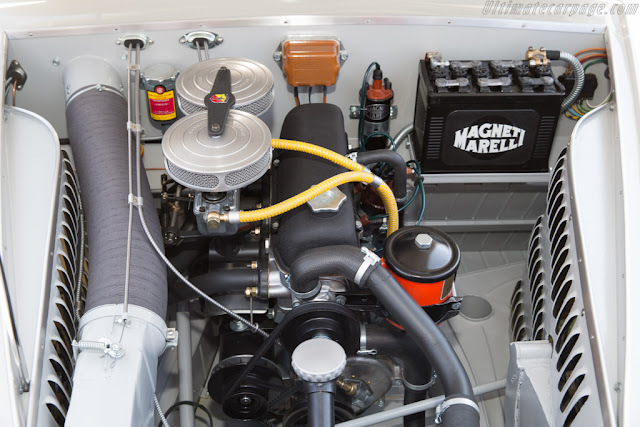 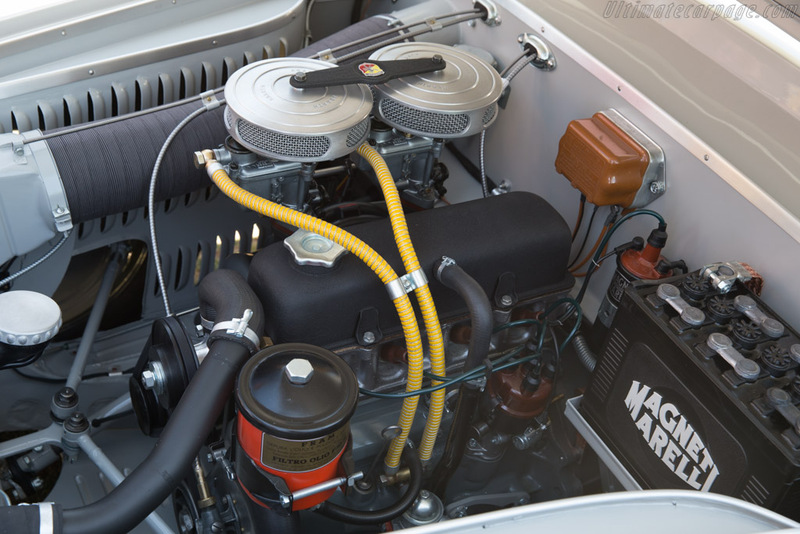 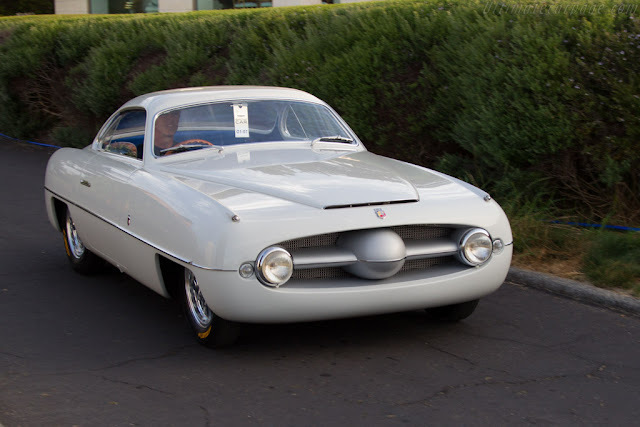 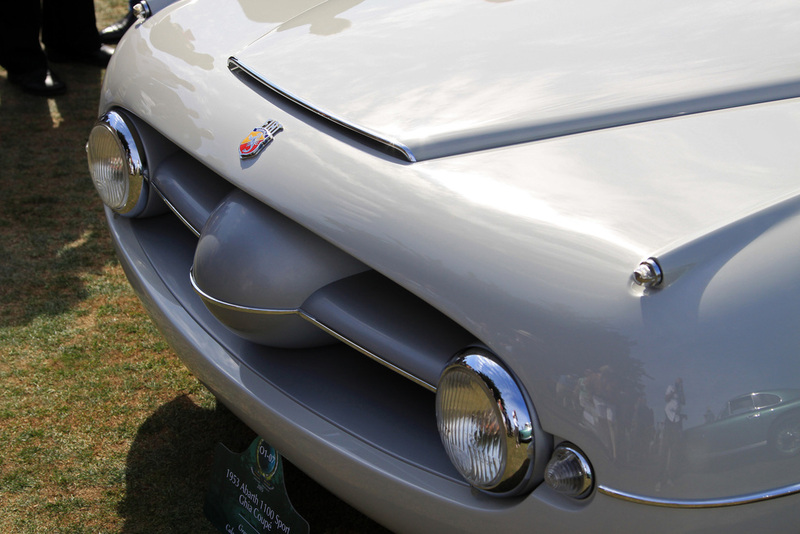 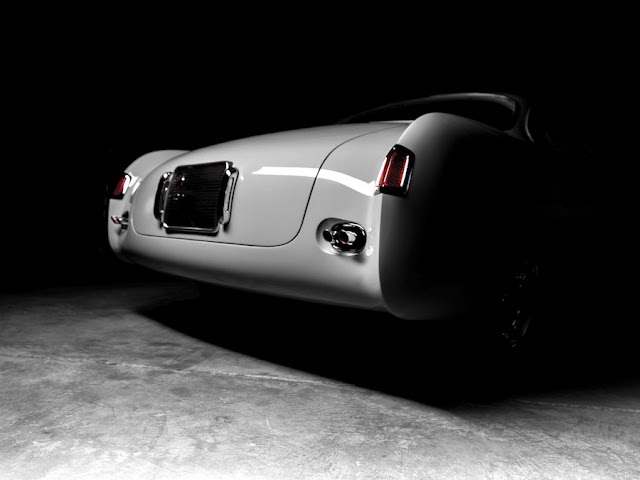 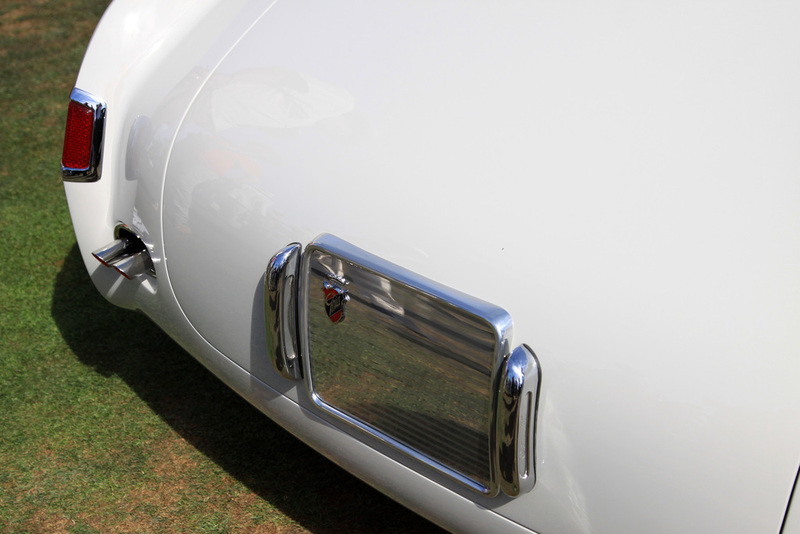 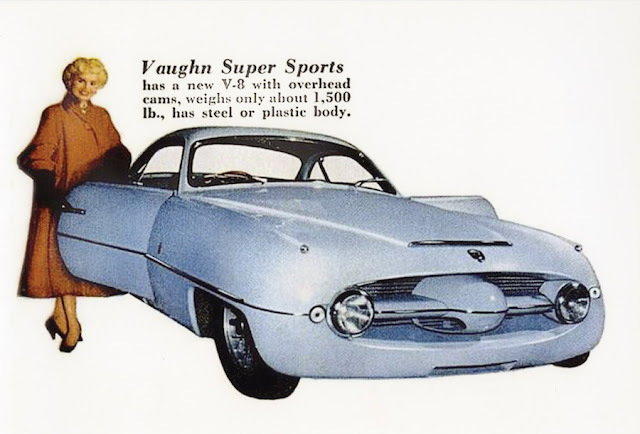 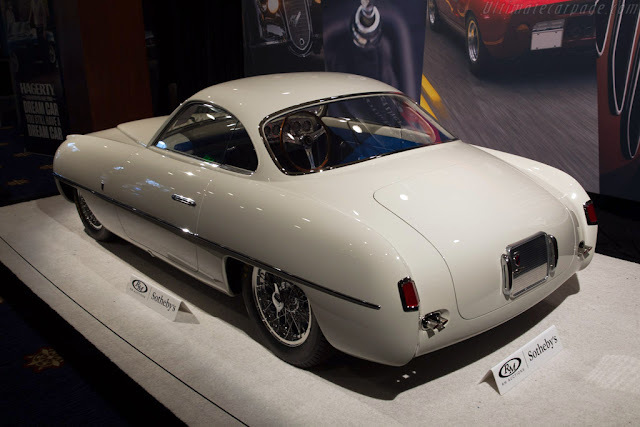 Following its motor show duties, Abarth sold the car to American Bill Vaughn, who exhibited it at the 1954 New York Auto Show as the Vaughn SS Wildcat, with “the first overhead camshaft V-8 in the USA.” Vaughn's plans never came to fruition, and the one-off Abarth disappeared from sight. 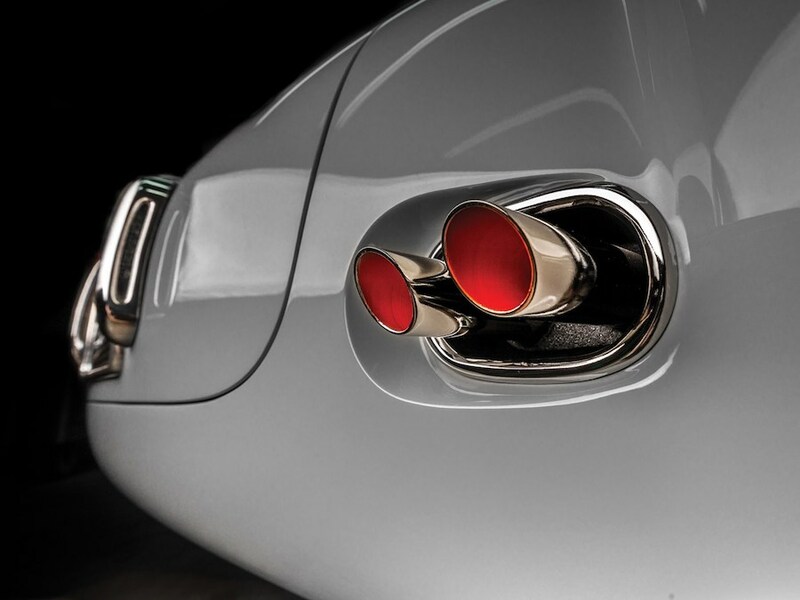 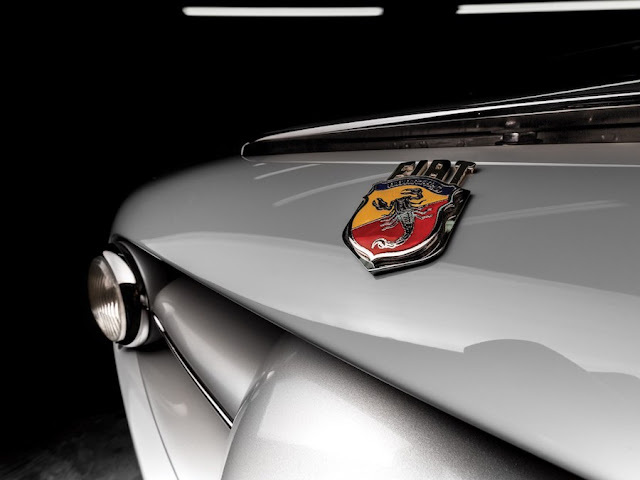 The rare Abarth passed through the hands of two additional collectors before being purchased by the consignor in 2010.